You have that fancy schmancy Instant Pot that everyone's talking about nowadays right? That kitchen appliance that pressure cooks food and can reduce the time it takes to cook tasty meals like pot roasts by several hours, and even lets you walk away and not babysit the food? It's a life saver for many, including myself. But as you cook meals with it, you'll notice that the silicone ring may hold smells from your dinner, and you don't want that cheesecake to smell like last night's chili. Or maybe it's old and just worn out enough that it doesn't properly seal under pressure anymore. Here's what you'll need to do. 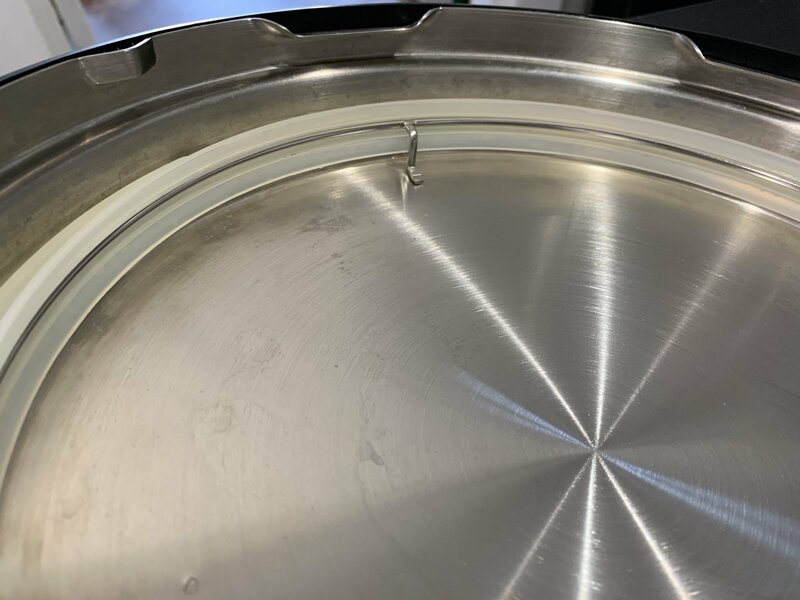 Locate the sealing ring in your Instant Pot lid. It is the clear silicone that is seated underneath the metal rack that goes all around the inside of the lid. To remove the silicone ring, give it a tug upwards. and repeat the process all around until the entire silicone ring comes out from the rack. Take your replacement ring and push it into the rack until it sits underneath the rack like before. Repeat this all the way around until it's properly seated. Store the lid upside down (over the Instant Pot or elsewhere) with the silicone ring when not in use. Airing it out will help get rid of the smell. Leave it outside in the sun for a while. You can also coat it with some baking soda. This seems to work for some people. Just make sure that wildlife or pets can't get to it. Soak the ring in white vinegar diluted with water for about an hour. Run a steam cycle in the Instant Pot for a few minutes with some white vinegar, water, and lemon rinds. That's all there is to it! It's recommended to take the silicone ring out each time when you wash the lid, especially if the food you cooked is pretty strong. If you have the colored rings, you should use one strictly for savory foods, and the other for desserts, so that you don't transfer over any unwanted savory smells to your sweet desserts. The silicone ring won't last forever (normal wear and tear), but it's the most crucial part of the Instant Pot. The silicone ring is what seals in the steam to cook under pressure. If it's not sealing properly, you must replace it. Otherwise, nothing will come to pressure, no matter how much liquid you put in there (it'll evaporate). The most important thing to have in your Instant Pot arsenal (other than the Instant Pot itself, of course) is a good set of silicone rings. The Instant Pot DUO60 is the most popular Instant Pot for many people It's a great size at 6-quarts and is big enough for families up to four people with plenty of leftovers. The functions it includes should be enough for most people, and it also comes in 3 and 8-quart sizes if needed. The Instant Pot is a hot kitchen appliance that has taken the world by storm. It replaces several different kitchen appliances and makes cooking fun, even for those who don't like to cook. The 6-quart size is pretty standard for most families, but there are 3 and 8-quart options available for most Instant Pot models, including the Duo. It's important to wash and clean the silicone ring on a regular basis so that it seals properly and also doesn't transfer strong smells. The clear silicone rings are just like the one your Instant Pot originally came with. These are from the Instant Pot brand, so they are genuine and are guaranteed to work with your Instant Pot. The clear silicone rings are your go-to for replacements. 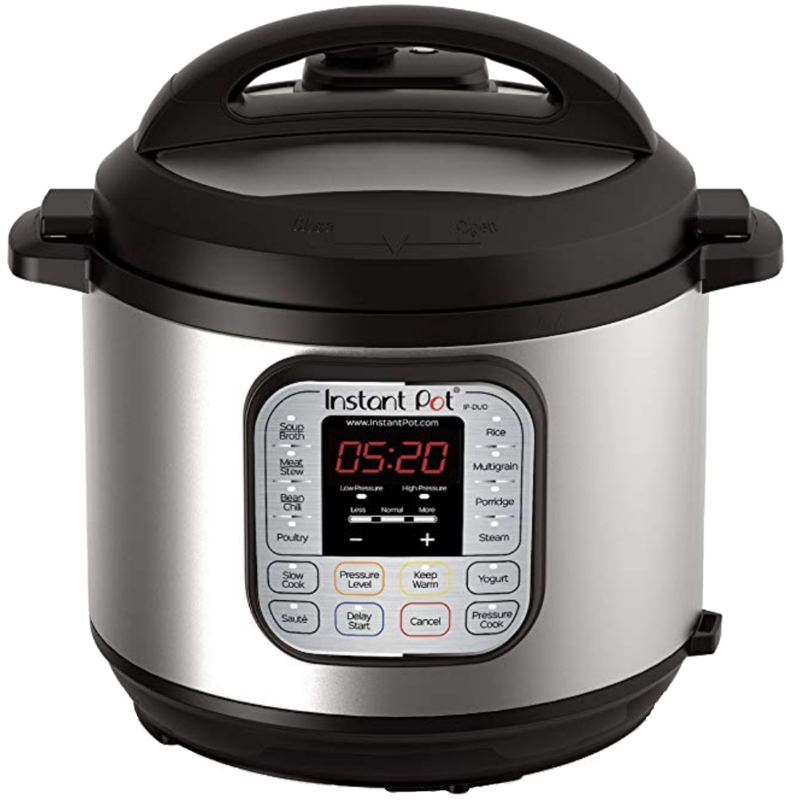 These are just like the original and will ensure that your Instant Pot is able to seal in all of the steam generated, which makes pressure cooking possible. If you cook both savory dishes and desserts, then you should consider keeping separate, color-coded rings. These are just like the clear silicone rings, except they are colored red and blue. This helps differentiate the two, which is great when you cook both savory dishes and sweet desserts.